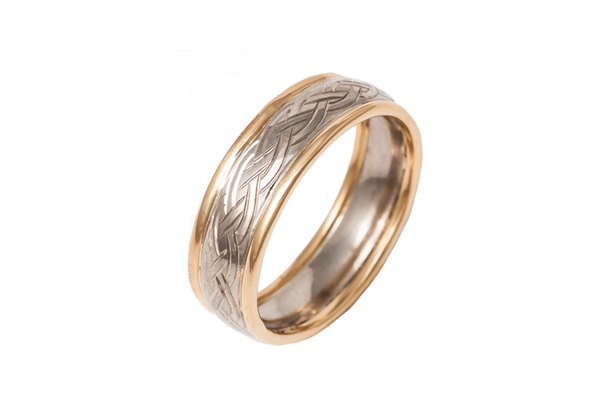 This ring was made using gold from a multi generational family wedding ring. The 22ct was melted and rolled and drawn though a draw plate to make the round wire edges that flank the 18ct white gold band. It was them hand engraved with a Celtic pattern.